wahoo today, will keep you posted. RUN OFF SPORTFISHING....that's the report form Capt. Brian Harrington on the Run Off, he doesn't have many openings, but if you can get one, take it. We'll be glad to help. Saw 18 cobias today and hooked 6. Let's just say we didn't do too well with the execution, but we did execute a couple of them, both citations. Capt. Ray caught a few cobia today and 25 puppy drum and yearlings yesterday, 18-35 inches. For those of you who don't know, a puppy drum is under about 10 pounds or 27 inches. A yearling is between 27 inches and about 40 inches, which is when it becomes an "old drum". 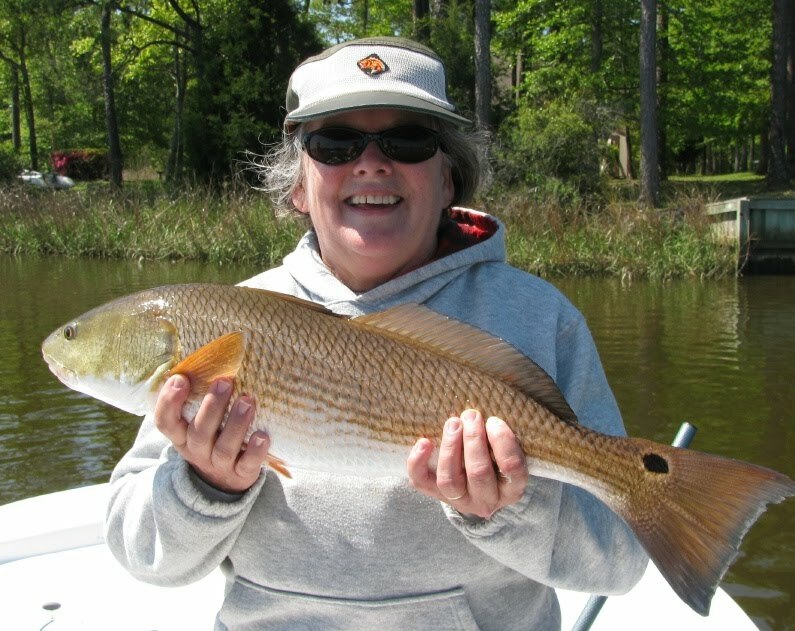 If you haven't seen our Spring/Summer Newsletter, drop me an e mail at info@pamlicoguide.com or look for it in the July issue of The North Carolina and South Carolina Sportsman Magazines. I do need to make a correction, the Navy is planning to put lights on the pilings marking their restricted area around Piney Island/BT-11. It's a shame that they could not have reinforced the mutually respected traditional boundary accross the mouth of Rattan Bay and put lights on the outer pilings which would turn on when the range is in use, allowing at least limited access to Traditional Use Areas. because it seems that fishing really is least on the east. No cobes today, but maximum pulledge with the amberjacks, they don't mind an east wind. ....is exactly what I needed after fishing the last 30 days in a row. That little storm was just right, but I am well rested and was able to get out and relieve that case of cabin fever that was building. Seas were calm and the water is clearing up. We had 8 really good shots at cobia today, pulled a couple off, missed a couple and caught a couple, including a 48 pounder. We left a huge one out there that I'm going to be looking for tomorrow. I'll post some pics tomorrow of the cobia from today. Also some pics that Capt. 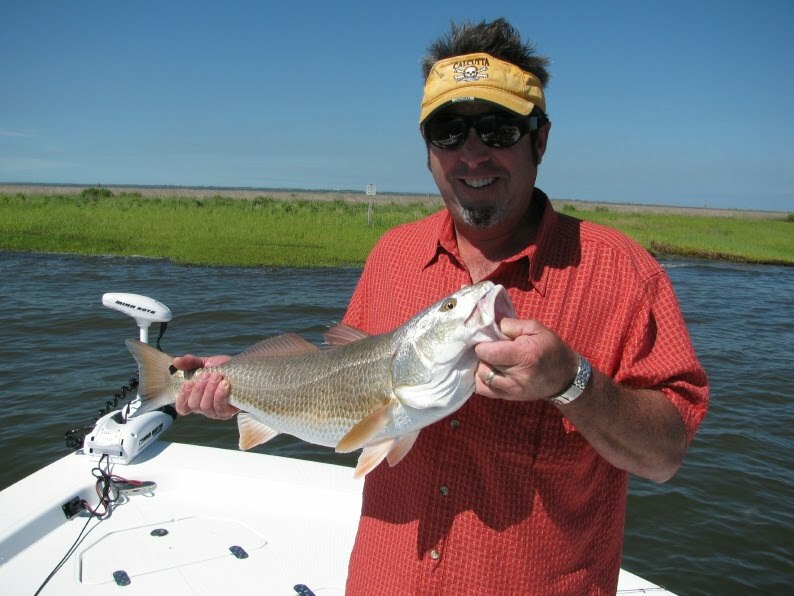 Gary sent me, sounds like the trout and puppy drum fishing is really firing off. Capt. Ray got the groupers today and plenty of aj's. 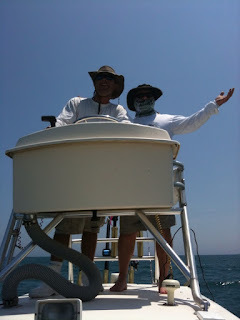 My buddy Wade, 1st mate on the Bill Collector says that they're getting the dolphin offshore. Wade also said that the Bill Collector has a make up trip on Monday. They are looking for two anglers at $300/angler including tip. This is a great opportunity for a single or pair to get on an offshore trip. Drop us a line if you are interested. On May 9 a blue marlin was released on the Dragin Fly to total 2500 billfish. Found them yesterday, but couldn't spend much time on them with a half day trip and another one booked in the afternoon. The weather deteriorated and we couldn't get back over there, but we did make the day with the spanish, blues and aj's. Capt. Ray got a little payback against Capt. 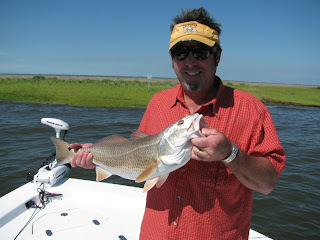 Joe today, catching 30 or more big puppy drum and yearlings, plus a 5 pound trout, but Capt. Joe got his, including this 7 pound trout. Capt. 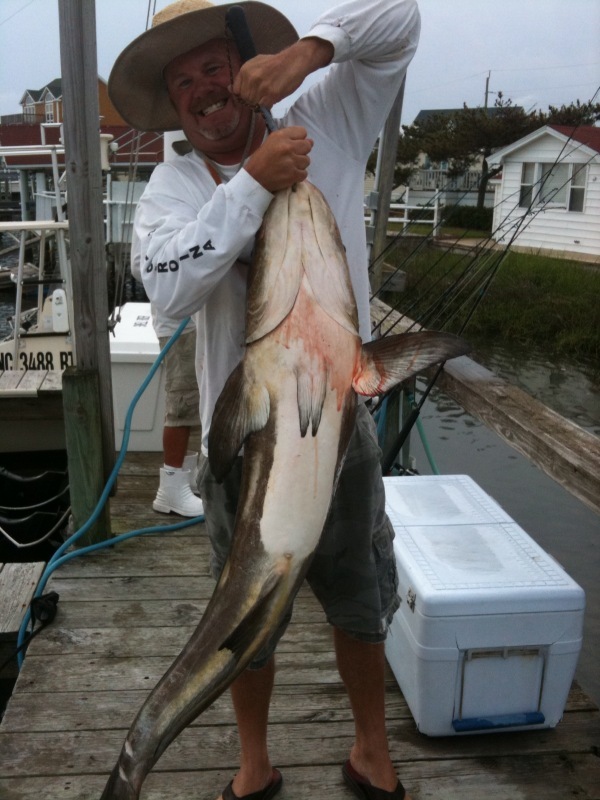 Greg got the cobia good today, landing 12. I went out to the wrecks that we cuaght 'em yesterday and we did catch a cobia and another big grouper, but we got covered up with the amberjacks. Not what we were looking for, but plenty of pullege. 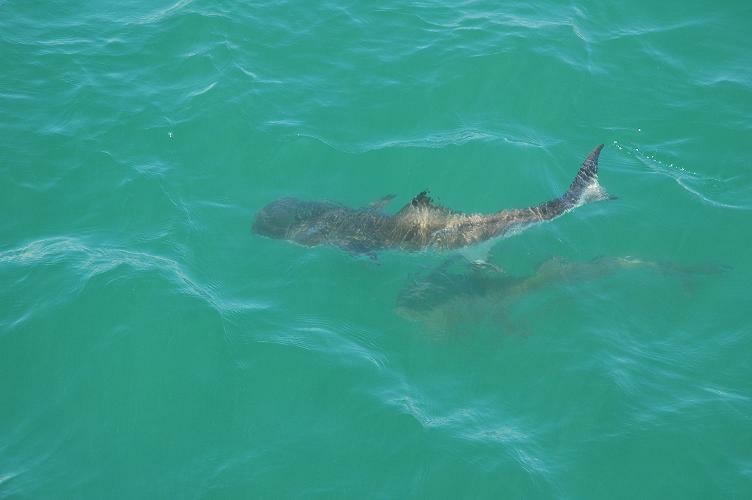 These two didn't get released, but we did release 6 others, several were in the 30-50pound size class. Many thanks to Jay Gregg with Carolina Outdoors television show. The episode that we shot today will be aired in the next couple of weeks. That was the only thing that we caught yesterday, so I'd like to know what it is. It was a big 'un. 3 for 5 cobia today and a bunch of spansih and blues. We were back at the dock by noon. The guys on the Dragin Fly had a couple blue marlin...which they lost, 4 sails and 3 dorado. Pretty decent fishing down there also. Although a few cobes were caught today, the clounds killed the sight casting for us. Better luck tomorrow. 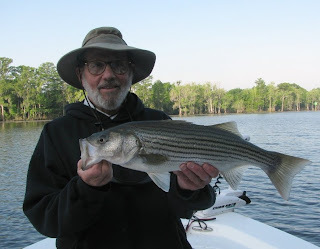 On the Roanoke, there are still plenty of fish there, but the best of the bite is very early in the morning and very late in the afternoon. I'm settling in here on the coast, but some of the Down East Guides are still on the river and do have openings. Drop us a line to make it happen. 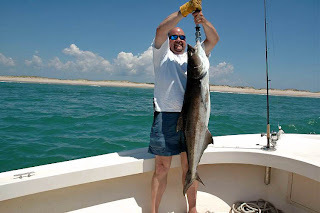 Sight casting cobia is my new favorite thing to do and with the reports coming from the coast, I had to check it out, so after fishing on Saturday, catching 80+ stripers in the morning, I headed to Morehead to get the tower boat ready. My fishing partners finally made it down to the boat at noon on Sunday. In four hours we saw 30 fish and caught 9, including one that was tagged in Virginia, probably last year, we haven't turned the tag in yet. Of the six that we killed, the smallest was 38 pounds, the other 5 were all citation and ranged from 45 to the biggest, a 78 pounder. I'm back on the Roanoke today and tomorrow and will have a first hand report. They pulled the plug on the river, dropping the water again. Things were a bit slow on Saturday, but picked up yesterday afternoon. This cool snap and the forecast for stable water levels should result in good, steady fishing at least through the week. 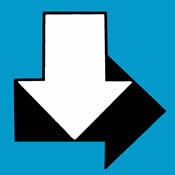 Is what everyone is saying. Capt. 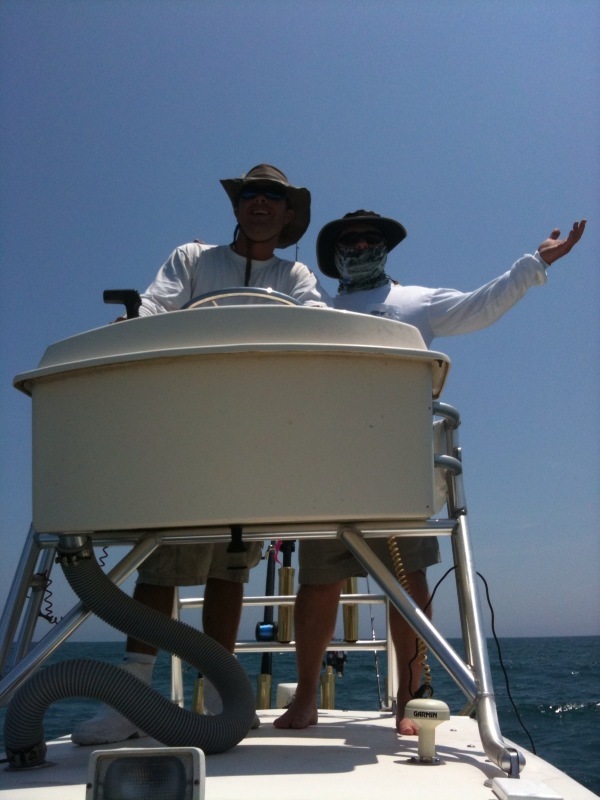 Greg got his today, seeing over 60 cobia. Capt. 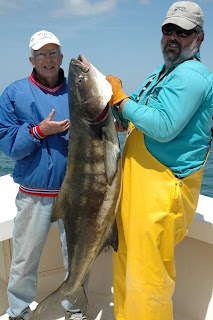 Joe Ward apparently was in the meat as well, catching cobia, 50 pound drum and 7 foot sharks out of the same bait ball. Thanks Joe. Salt in the wound. I'll get out there soon enough, in the meantime, Capt. Joe Shute is getting his share. If you want to go, we'll make it happen. ......that my so called good friends are calling me and telling me about how many cobia they're catching. Joe Shute just called and he's caught 5 in less than 2 hours, seen over 20. Joe Ward has a friend who cuaght 6 this morning out of a bass boat. The reports keep coming and coming. Don't worry, the bite will be over by the time I get off the river and on the salt on Sunday. Red hot on the Roanoke, an unbelievable bite on the fly, pretty much all day long. 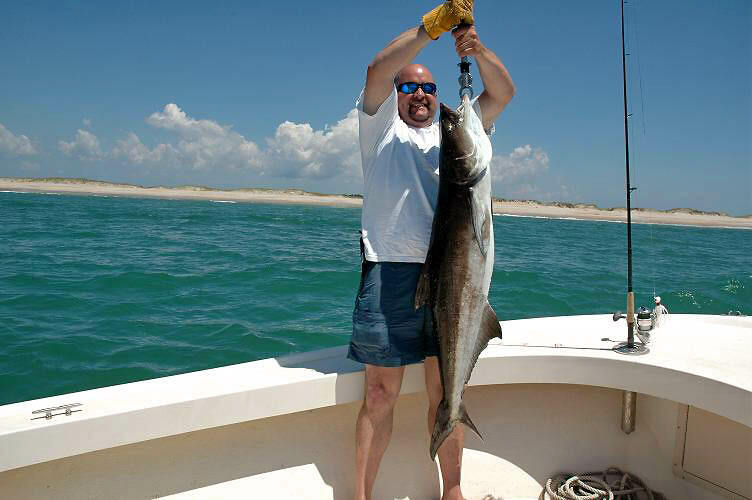 Red hot cobia fishing at the coast, folks that are looking are seeing between 15-30 fish/day. 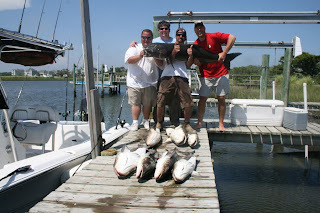 I just thought that I would drop a line to let everyone know what is going on here in the Morehead City area. The cobia fishing is just starting here in Morehead City. 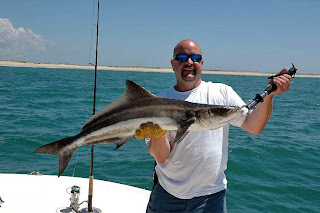 There were a few nice cobia caught this past weekend and plenty of more sighted. 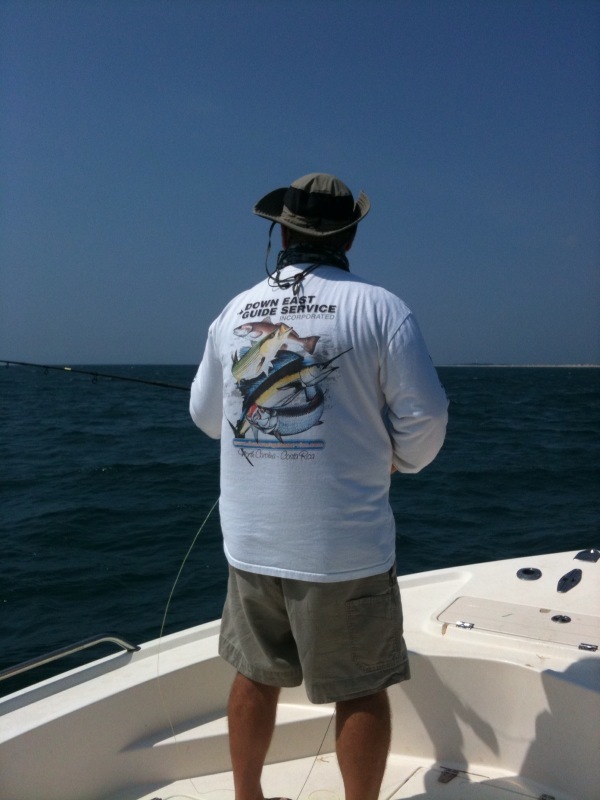 I am getting rigged up to check the cobia out my-self later this week. We are starting to see menhaden show up as well. Usually when the menheaden show up the cobia are right behind them. The spanish mackerel are also starting to show up along the beaches along with bluefish. 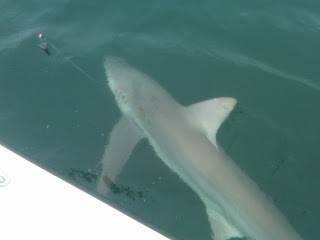 The offshore fishing is starting to pick up as well. As many of you know we have been hit hard with high winds and a large area of cold water offshore around the Big Rock area. Finally the warmer water is starting to move our way and the dolphin and wahoo fishing to the south of us has been pretty good, and hopefully these fish will be off our beach by this weekend. There have already been some nice blue marlin caught in the last week . 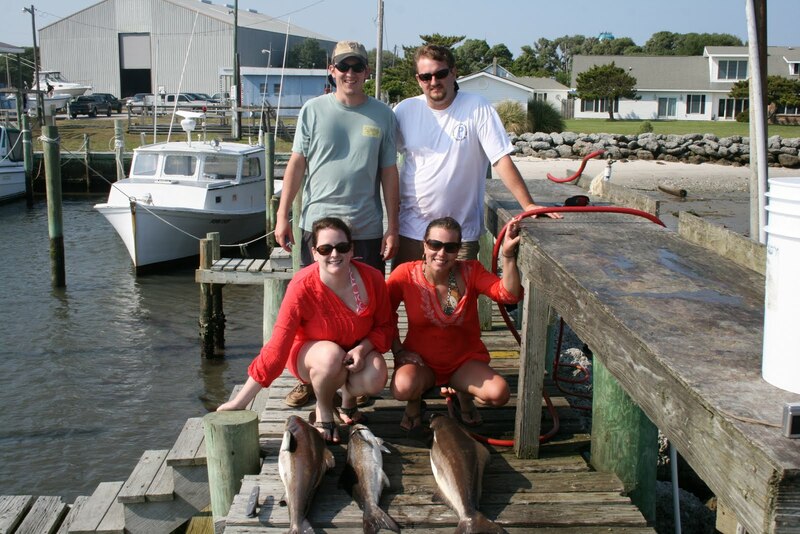 WE are now booking cobia and redfsih trips, and anything else available. We proudly book for Capt. 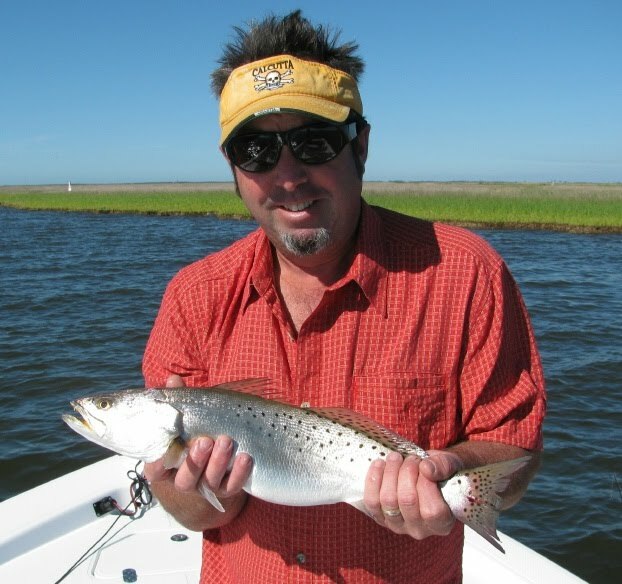 Joe Shute, drop us a line anytime, request to fish with Capt. Joe and we'll make it happen. Epic top water striped bass action yesterday afternoon. That's right, there have been some cobia caught along the beach this week and there seems to be plenty of bait. Things are setting up to be another great season. With cold water up to the north, these early arriving fish should stay around a while. I can't wait to get after them. 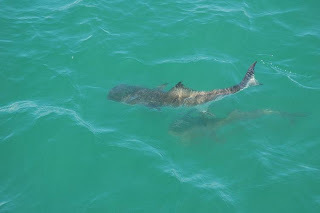 In fact, I'm heading to the coast this week to make sure that everything is in working order and will be dividing my time between the cobia and the Roanoke for the last two weeks of May. There are an obscene amount of stripers still making their way up the river, we've only seen a fraction of what is coming. The water is warming and excellent top water action is about to begin and should last all the way through May. And the fishing is on fire again. Excellent morning, especially on the fly. If you ever wanted to learn to fly fish, this is the place. 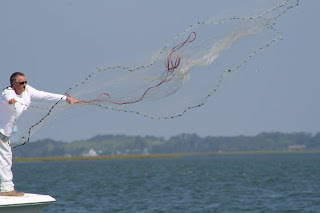 With the warm temps this week, they'll start going on top, very exciting for the experienced fly fishermen. I personally have some afternoon openings during the week this week, give Anna a ring and let's make it happen.